Learn new techniques with this gorgeous hat! A molded crown hat is covered in a layer of lace, as is the lovely brim. Learn to make your own lush paper roses using our techniques. 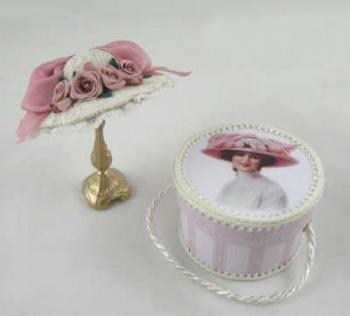 The matching hatbox is included too.